THE CURRENT ADMINISTRATION has lined up the start of P36.23 billion worth of large-scale flood control, road and railway projects next year, which marks the midterm of President Rodrigo R. Duterte. For road and bridge projects under the Department of Public Works and Highways (DPWH), the list consists of the P3.57-billion Improving Growth Corridors in Mindanao Road Sector Project, P2.34-billion Road Upgrading and Preservation Project and the P1.85-billion first phase of the Central Luzon Link Expressway Project. Also to be implemented by DPWH are the P2.2-billion first phase of the Metro Manila Flood Management Project and the P1.68-billion Flood Risk Management Project covering areas adjacent to the Cagayan, Tagoloan and Imus Rivers. Next year also marks the start of five railway projects under the Department of Transportation, namely: the P14.04-billion, 37.9-kilometer Philippine National Railway (PNR) North 1 linking Tutuban in Metro Manila and Malolos, Bulacan; the P2.91-billion 102-kilometer first phase of the Mindanao Railway Project that will run through Digos, Davao and Tagum cities in Mindanao; the P1.52-billion first phase of the Metro Manila Subway Project that will include the first three stations along Mindanao Avenue, Tandang Sora and North Avenue, in Quezon City; and the P1.42-billion PNR South Commuter Solis-Los Baños Project. The government will also provide a P4.7-billion subsidy for the Metro Rail Transit Line 3. N PHOTOS: DOTr Assistant Secretary Eymard Eje was oriented on various big-ticket infrastructure projects in Mindanao such as the Davao City Monorail System and the Mindanao Railway Project (MRP) yesterday, 20 September 2018. In separate meetings held in Davao City yesterday, concerned officials discussed with Asec. Eje the concept, status and alignment of the MRP TDD. Discussions with lot owners that may be affected by the first phase of the MRP (Tagum-Davao-Digos) were also reported. Asec. Eje was recently designated by DOTr Secretary Arthur Tugade as point person of the DOTr for all projects to be implemented in Mindanao. In March 2017, Chinese Vice Premier Wang Yang visited Davao City, Duterte’s hometown where he previously served as governor, to show Beijing’s commitment to constructing the southern railway. The railway was estimated at the time to cost 218 billion pesos (US$4 billion), according to news reports. Wang was the guest of honor at an official presentation on the Mindanao railway’s economic boosting prospects. Wang suggested at the time that China could help finance the project through either soft loans or investment in the government’s public-private partnership scheme. The National Economic and Development Authority, a Philippine state agency, approved last year the first Tagum-Davao-Digos phase of the railway at a cost of 37.3 billion pesos (US$726 million). The line is expected to reduce travel time along the route from 3.5 hours by road to 1.3 hours by rail. The Mindanao railway’s construction was earlier targeted to start in the third quarter of this year, with the Department of Transportation pushing for China to fund all of the project’s phases through official development assistance (ODA). The Philippine side has not given up hope. In late August, a top-level Philippine economic delegation traveled to Beijing to resubmit an indicative list of 12 big-ticket infrastructure projects for possible Chinese grant financing, including the Mindanao railway project. The delegation included Finance Secretary Carlos Dominguez III, Public Works Secretary Mark Villar, Socioeconomic Planning Secretary Ernesto Pernia, Budget Secretary Benjamin Diokno and other senior government officials. They submitted the proposed projects to the newly created China International Development Cooperation Agency (CIDCA), a leading agency responsible for administering foreign aid and overseas development assistance. “This truly shows that China gives great importance to the promotion of its bilateral relations with the Philippines,” Wang said in a statement, according to a Philippine Finance Department release on the meeting. The delegation also met with the Export-Import Bank of China, the Asian Infrastructure Investment Bank and top-ranking Chinese officials to discuss infrastructure project implementation and financing. As of October 10, Asia Times’ questions to the Mindanao Development Authority, a body dedicated to the island’s socioeconomic development, regarding the status of the Mindanao railway system and Chinese financing were unanswered. During Duterte’s first State of the Nation Address in 2016, the leader proudly predicted that the Mindanao railway system would be up and running before he steps down from power in mid-2022. But more than two years into Duterte’s term, it’s not clear that the southern train will leave the station any time soon, if at all. DOTr Assistant Secretary for Projects Implementation - Mindanao Cluster Eymard Eje conducted a courtesy call to Panabo City, Davao del Norte Mayor James Gamao to discuss mutual concerns on the Mindanao Railway Project (MRP). During the meeting, Mayor Gamao expressed to Asec. Eje the readiness of the City of Panabo on the implementation of MRP Phase 1. Gamao likewise said that the City Council have already passed a resolution authorizing him to enter into a Memorandum of Agreement with the DOTr relative to the Right Of Way Site Acquisition in their City. THE GOVERNMENT may have to go to court to assert its eminent domain for the first phase of the Mindanao Railway System (MRS) project as some land owners are not keen to let go of their properties that are on the path of the train track, a regional official said. The first segment of the MRS covers the cities of Tagum, Davao, and Digos, all in Davao Region. “We are still negotiating with the landowners to acquire right of way (ROW) for the track. As of now negotiation is not final yet,” Davao del Norte Governor Anthony G. del Rosario, also the chair of the Davao Regional Development Council, told the media last week in Tagum City. DAVAO CITY (MindaNews/13 July) – Negotiations with property owners to settle road right of way matters for the implementation of phase one of the Mindanao Railway Project will start this year, an official from the Mindanao Development Authority (MinDA) said. MinDA executive deputy director Romeo Montenegro said in an interview on Wednesday that the government allotted P9 billion to compensate owners of properties that would lie along the 102-kilometer Tagum-Davao-Digos railway. He said they would need the help of local government units with the right of way settlements. The budget for the right of way settlement was part of the P36-billion budget under the 2018 General Appropriations Act, which was intended for a one-track, diesel-run locomotive. But the Department of Transportation (DOTr) later reverted to its original plan of a two-track electricity-run railway worth P86 billion. Montenegro said this is still subject to approval by the National Economic Development Authority-Investment Coordination Committee, which consists of Finance sectary as chair, the NEDA Director-General as co—chair, and the executive secretary, secretaries of Agriculture, Trade and Industry, Budget and Management and the Governor of the Central Bank of the Philippines as members. Negotiations will begin once the detailed engineering plan is finalized, he said. THE Department of Transportation Region (DOTr) Davao Region has created a steering committee composed of with eight local government units in Davao region for the P90 billion Tagum-Davao-Digos (TDD) phase of the Mindanao Railway System. In order to secure an inclusive project for the railway system, Ruivivar said the committee will involve the partnership of eight LGUs in Davao Region -- the provincial governments of Davao del Norte and Davao del Sur, along with Davao city, Digos City, Sta. Cruz, Panabo City, Carmen, and Tagum City. Ruivivar added the main issue the department is currently facing is about the land acquisition. The MRP-TDD segment is the first of the three segments of the Mindanao Railway Project. The other segments include the Davao-Nabunturan-Butuan (256km), Butuan-Cagayan de Oro-Iligan (285km), and the Iligan-Cotabato-Davao (289km). She said the railway will cover Davao Region until Northern Mindanao. The connection from Davao City to to Cagayan de Oro via Malaybalay City in Bukidnon will cut travel time from six hours to two hours. 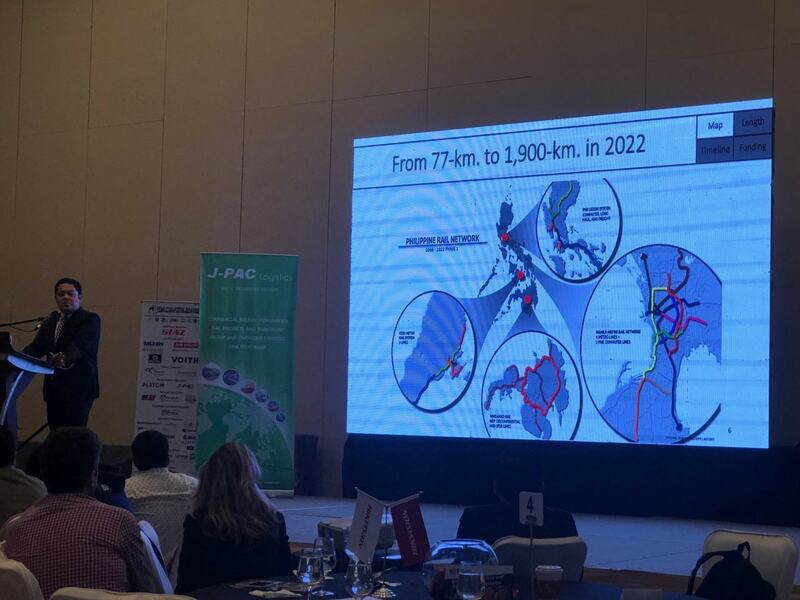 Department of Transportation (DOTr) Undersecretary for Railways TJ Batan presented at the Philippine Railway Modernization and Expansion Summit 2018 in Manila, today. In his speech, Usec. Batan highlighted the government's 23 railway projects, which will expand the country's rail system from the current 77 kilometers to over 1,750 kilometers. He also discussed the current situation of the mass transit system and how are these plans of railway expansion will benefit the riding public from across the country. The event was attended by over 250+ C level executives from the major railway operators, government authorities, developers, consortiums and contractors, construction companies and the international community who are sourcing solutions for their existing and upcoming projects in the next 3-5 years. 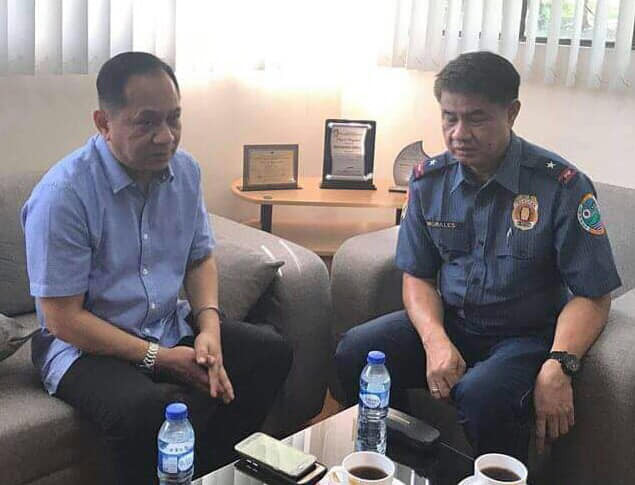 DOTr Assistant Secretary for Project Implementation - Mindanao Eymard Eje paid a courtesy visit to Police Chief Supt. Marcel Morales, Regional Director, PRO XI, and discussed the security protocols to be observed in the conduct of parcellary surveys along the line of the proposed Mindanao Railway Project Phase 1. DAVAO CITY - Some property owners in golf and residential estates in Catalunan Pequeño here have complained against the proposed Mindanao Railway Project. THE Mindanao Railway Project Tagum-Davao-Digos (MRP-TDD) will possibly cover 18 hectares in Barangay Mudiang, Davao City for its train station. In a separate interview, he said there will be three train stations in the city to be located in Barangays Mudiang, Maa, and Toril. Mudiang is the first station from the north. After the presentation of the DOTr, residents of Barangay Mudiang expressed concern over the big portion that the project will cover for its train station. Zozobrado told the residents that there have been no final points of areas affected by the MRP-TDD and that the presentation of DOTr is still an initial plan. He however, assured the residents that they will be fairly compensated if their properties get affected. Meanwhile, Transportation Assistant Secretary Eymard Eje commended the City Council for mediating over concerns of the residents and other property owners of the project. “The MRP-TDD is about 80 to 85 percent final because we have already considered everything. We are just waiting for other stakeholders to submit necessary details to proceed with the final realignment,” he said. DAVAO CITY (MindaNews/ 30 January) – Negotiating for the road right of way (RROW) for phase 1 of the 1,550-kilometer Mindanao Railway Project is not the job of the local government unit, an incensed Davao City Mayor Sara Duterte told the Department of Transportation (DOTr). “I refused to accept that responsibility, kasi dapat iniisip nila yan on their part kasi that is their project. So, bakit kami tatanggap ng pera para gawin ang trabaho nila? (they should also think that on their part because that is their project. Why should we accept the money to do their job? ),” she said.